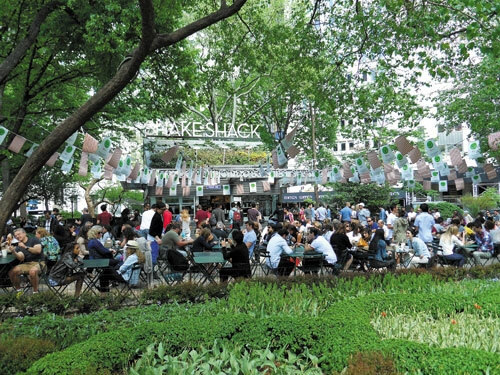 At the heart of what used to be a bustling commercial district, Madison Square Park is identified as the nexus of Downtown’s most dynamic neighborhoods – Flatiron, Gramercy, NoMad and Chelsea. Running from 23rd to 26th Street, it is where uptown meets downtown. 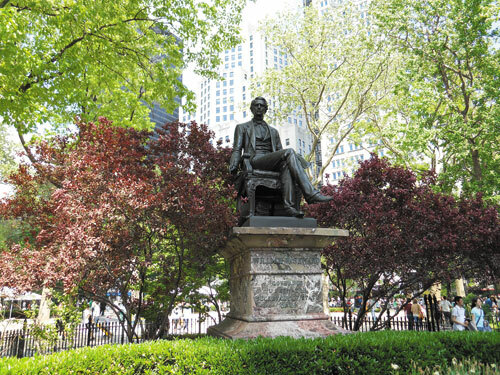 The park formally opened in 1847 and in the late 19th century the neighborhood surrounding it flourished as a privileged community where mansions and respected office buildings bordered the square. By the 1990’s the park had lost its splendor and fallen into disrepair with its eight prized monuments in decay. In 2001, the park underwent a $5 million restoration which was well-received by New Yorkers. 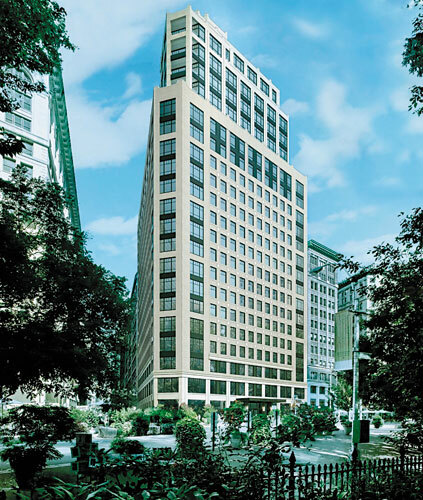 Since its renewal, Madison Square Park has spurred noteworthy luxury residential developments. The Flatiron Building, the gold-crowned New York Life Building and the Metropolitan Life Tower (also known as Met Life Tower) remind us of Madison Square Park’s longtime commercial identity. 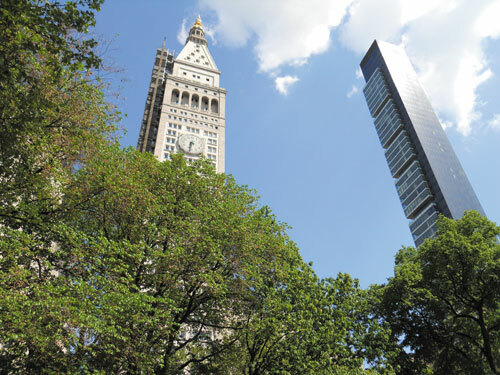 In recent years, the square’s skyline welcomed two new icons; One Madison at 23 East 22nd Street and 10 Madison Square West. Whether you are waiting in line for a Shake Shack burger or admiring one of the park’s exciting art exhibits, these residential buildings cannot be ignored. Besides having the park nearby, they both draw celebrities and billionaires. One Madison is Downtown’s most captivating skyscraper. 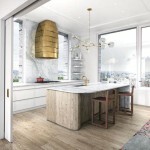 The slender 60-story bronze glass-clad tower offers 53 residences designed by Yabu Pushelberg and Cetra/Ruddy and developed by Related Companies and HFZ Capital Group. It is well-celebrated for its cinematic views of Manhattan, as well as dramatic river-to-river-to-sea vistas. In spite of its publicized troubled past, sales at One Madison have been going at full speed. Last year, The New York Post reported that Patriots quarterback Tom Brady and supermodel Gisele Bundchen spent $14 million on a full-floor three-bedroom condo located on the 47th floor. In February, News Corp. Chairman Rupert Murdoch purchased the prize-jewel penthouse and another full-floor apartment beneath it for a total of $57.25 million, according to Bloomberg.com. Mr. Murdoch’s choice of Madison Square Park represents perhaps the strongest endorsement to date of the neighborhood. One Madison continues to have sizeable sales. 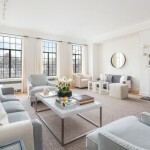 Currently, listing website Streeteasy.com lists residence 55 for $37.5 million. This opulent duplex offers more than 6,600 square feet and encompasses the 55 and 56 floors. 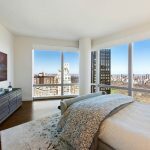 As you can imagine, this luxury apartment features jaw-dropping panoramic views of all of Manhattan. On the west side of the square, formerly one of the International Toy Center buildings, 10 Madison Square West offers 125 one- to five-bedroom residences designed by Alan Wanzenberg. WG 1107 LLC is an affiliate of The Witkoff Group and Vector Group Ltd. through its New Valley subsidiary are the developers behind this ambitious condo conversion. According to 10 Madison Square West’s official website, the iconic architecture and classic brick and limestone façade have been transformed by Goldstein, Hill & West Architects. The current architecture, akin to the refined façade of 15 Central Park West, was inspired by the building’s historic industrial heritage and contemporary design. Reportedly, nearly 95% of the 125 remarkable residences are already in contract. The availability on the building’s website lists Penthouse 22 for $35 million. This exquisite 5-bedroom with 6.5-baths residence has 6,515 square feet and encompasses the entire 22nd floor. Penthouse 22 is wrapped by over 1,700 square feet of private terraces and each living space has direct outdoor access. This exceptional apartment boasts 360 degree unobstructed views of the iconic Flatiron District and Madison Square Park. 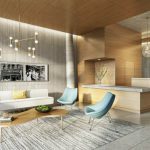 Madison Square Park’s residential rebirth has expanded to NoMad (North of Madison Square Park), which stretches from 25th Street up to 30th Street and from Sixth Avenue to Lexington Avenue. In recent years, NoMad has been transformed from a crowded commercial district inhabited by wholesale and variety stores into a fashionable residential neighborhood that is a celebrity favorite. Much of the credit for NoMad’s popularity is due to the legacy of its fine architecture and central location with easy access to main trains. 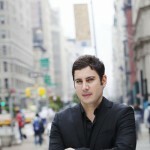 Trendy NoMad has world-class hotels, wonderful restaurants and great nightlife. People are drawn by NoMad’s restored buildings which offer industrial details and loft-style layouts typically found in TriBeCa and Soho. 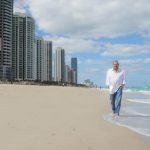 New high-rise rental and condominium buildings also magnetize people looking for The Empire State Building views and modern comfort. NoMad has many great assets and having the park nearby is an added benefit of living there. Undoubtedly, Madison Square Park has once more become New York City’s darling and is as treasured as Central Park. The square has come full circle and has once again become the focal point of Manhattan’s most elite neighborhoods where society’s most fashionable residences perfectly bound it; just like it was in the late 19th century. All information furnished regarding property for sale or rent or regarding financing is from sources deemed reliable, but Corcoran makes no warranty or representation as to the accuracy thereof. All property information is presented subject to errors, omissions, price changes, changed property conditions, and withdrawal of the property from the market, without notice.